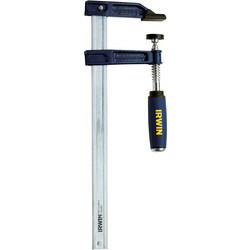 View a vast range of clamps including G, sash and spring clamps at Toolstation. 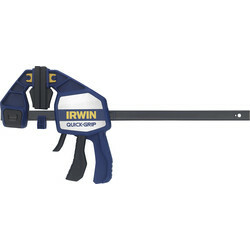 We stock brands you can trust including Irwin and Roughneck clamps, ideal for securing and carrying plasterboard and other materials. 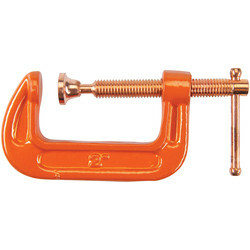 Purchase a G clamp to hold wood or metal in carpentry and welding, such as the G clamp with a malleable iron frame and reinforced shoulders. 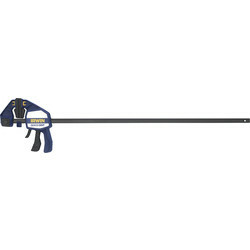 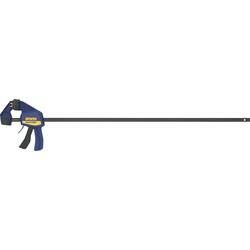 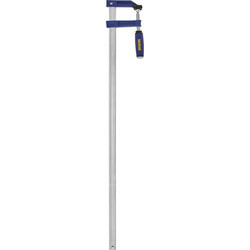 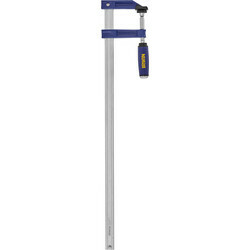 For a wider opening capacity choose an F clamp with cast jaws and a high impact handle. 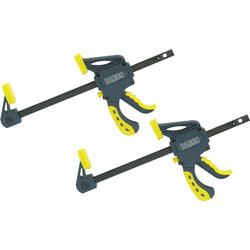 Consider sash clamps to exert high pressure such as the T-bar sash clamp with cast iron heads and feet in 600 to 120mm jaw capacity. 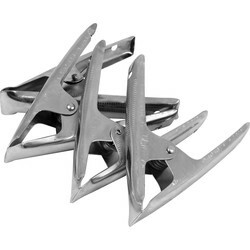 For gluing and holding delicate objects together, choose a spring clamp such as the Roughneck spring clamp with soft grip jaws and a high-tension spring. 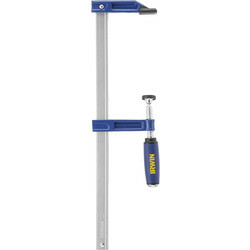 Browse corner clamps, ideal for working with corners of furniture and quick release clamps for a one handle quick release of the material. 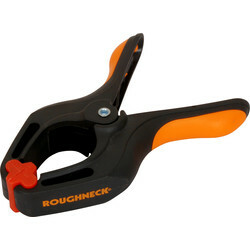 For the tightest grip, choose a ratchet clamp such as the Roughneck nylon ratchet clamp with soft pivoting jaws to avoid damage. 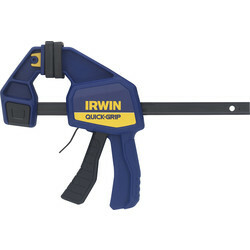 We also stock quick, speed, plasterboard and 3-way edging clamps. 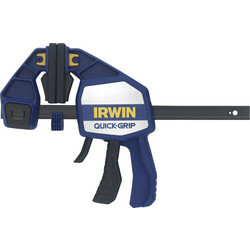 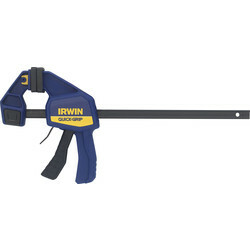 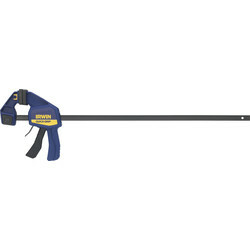 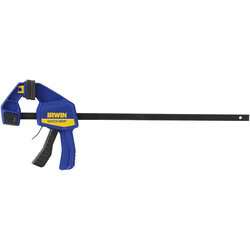 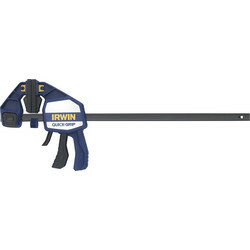 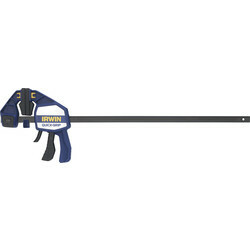 25358 Irwin Quick-Grip Medium-Duty Bar Clamp 450mm / 18"
18164 Irwin Quick-Grip Heavy-Duty Bar Clamp 450mm / 18"
46258 Irwin Quick-Grip Medium-Duty Bar Clamp 900mm / 36"
20683 Irwin Quick-Grip Heavy-Duty Bar Clamp 150mm / 6"
77618 Irwin Quick-Grip Heavy-Duty Bar Clamp 600mm / 24"
87271 Irwin Quick-Grip Medium-Duty Bar Clamp 300mm / 12"
54763 Irwin Quick-Grip Heavy-Duty Bar Clamp 900mm / 36"
47516 Irwin Light-Duty Pro Clamp S 200mm / 8"
24377 Irwin Quick-Grip Heavy-Duty Bar Clamp 300mm / 12"
54460 Irwin Light-Duty Pro Clamp S 600mm / 24"
23515 Irwin Light-Duty Pro Clamp S 400mm / 16"
93817 Irwin Quick-Grip Medium-Duty Bar Clamp 150mm / 6"
66529 Irwin Light-Duty Pro Clamp S 300mm / 12"
53865 Irwin Light-Duty Pro Clamp S 800mm / 32"
23767 Irwin Quick-Grip Medium-Duty Bar Clamp 600mm / 24"